The football World Cup starts tomorrow, and we are excited! 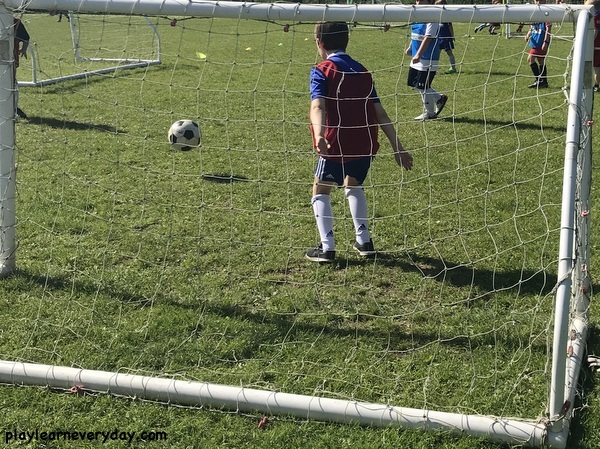 It's fantastic timing for us as Ethan has been really getting into football, playing at school each week and outside at home whenever he gets a chance. We always think that it's fun to have some teams to support besides England (just in case England don't get very far, and since Canada didn't even qualify!) 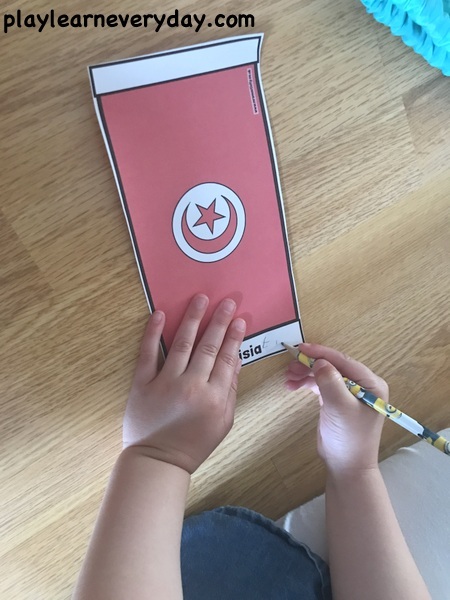 So I've printed out this World Cup Bunting from Mrs Mactivity. 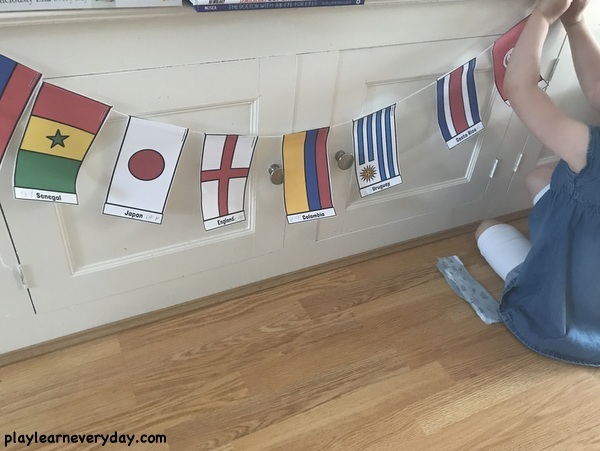 It's perfect because it has flags for each country, so we cut out all of the flags, put them in a bag and took turns choosing teams to support. We then wrote our names on each of the flags that we chose so that we could keep track of which teams we were each supporting. Then we got out the string and tape and hung them all up on our bunting as decoration. 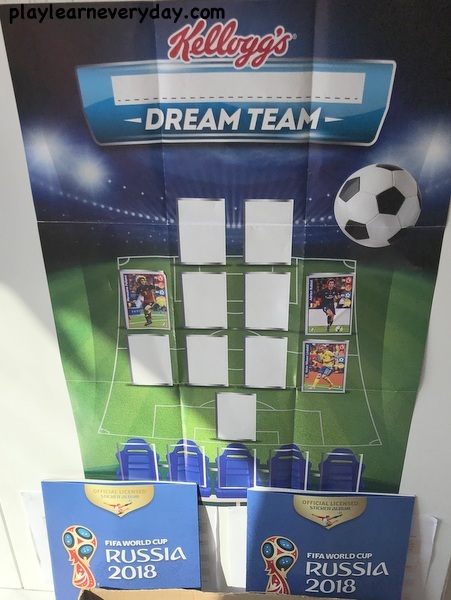 I've also printed out the World Cup Wall Planner to hang up and keep track of the scores of all of the games. I picked up these World Cup Sticker books at a book shop the other day, and we'll buy a few packs of stickers to put in them (they've also got a lot of information about the different teams that play and about the stadiums across Russia). Of course we are also buying up any products that offer free stickers, like these boxes of Kellogg's cereal (maybe I shouldn't bring the kids grocery shopping with me, ha ha!) but it is another fun thing to collect and a chance to talk about the players and the teams. We were out at the garden centre last week and Ethan spotted these Playmobil World Cup football players. And they were only £5 each, so of course I couldn't resist buying them each one so they could play their own little game at home. 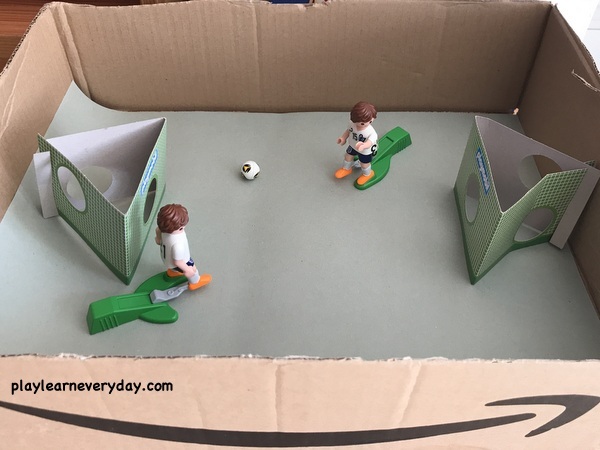 Now you can buy a full World Cup Arena for them to play in, but we decided to make our own by cutting up a cardboard box and putting a green piece of paper at the bottom. Of course we are also getting outside and playing football at every opportunity. 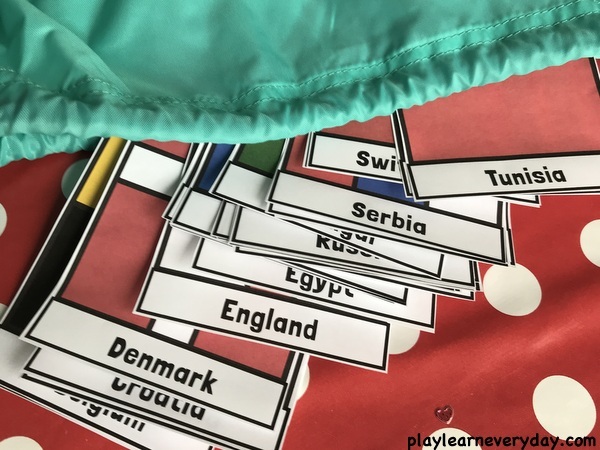 The children each have their own little England tops that they can wear while they kick the ball around trying to score goals against each other in a little pop up net that we have in the backyard. Happy World Cup watching, who are you rooting for? 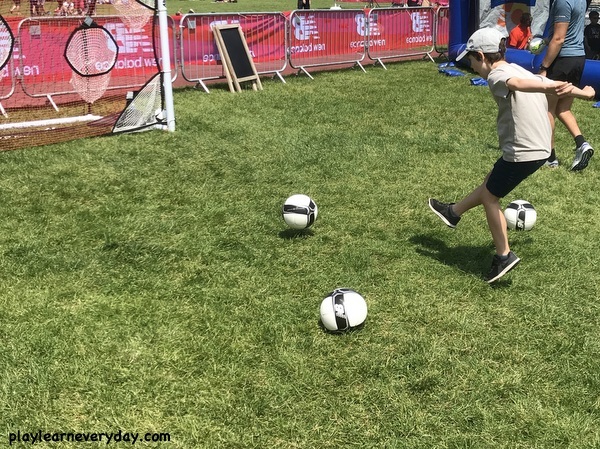 I've also written an article for iChild about being active and Enjoying Team Games and the World Cup.